In my real world experience, code responses are nearly always improved when all members of the code team have taken Advanced Cardiac Life Support (ACLS) training. It’s called having a shared mental model, which is an essential element of any resuscitation team. Over the years much research has been done on this concept. An example can be found in the Journal of Applied Psychology, entitled “The Influence of Shared Mental Models on Team Process and Performance”. The paper discusses the influence of a shared mental model on team performance and adaptability under stress. Essentially, when both the roles of the team members and the tasks the team needed to perform were shared and understood by all, performance was demonstrably effected in a positive way. I’ve had numerous experiences that point towards this model in emergencies. ACLS’s Pulseless Arrest Algorithm, for instance, provides a structure for interventions that ACLS trained and certified medical personnel can quickly learn and anticipate during a code. Consider the members a team might include, such as MDs, RNs, Respiratory Therapists (RTs) and Paramedics, to name few. If all members of the team have practiced these interventions (ideally together), preparing for the next medication or rhythm check becomes second nature. Conversely when an MD, for instance, is not following the American Heart Association consensus guidelines for ACLS, the already stressful code can devolve into chaos. At my Emergency Department what we did to improve the odds of our teams having a shared mental model was to load up the annual calendar with interdisciplinary simulations. We also developed Job Action Sheets (JAS) for codes that had the ACLS algorithm on them for us to focus on. When our ED was notified of an incoming Code 3 (arrest), we would huddle around the JAS prior to the patient’s arrival. 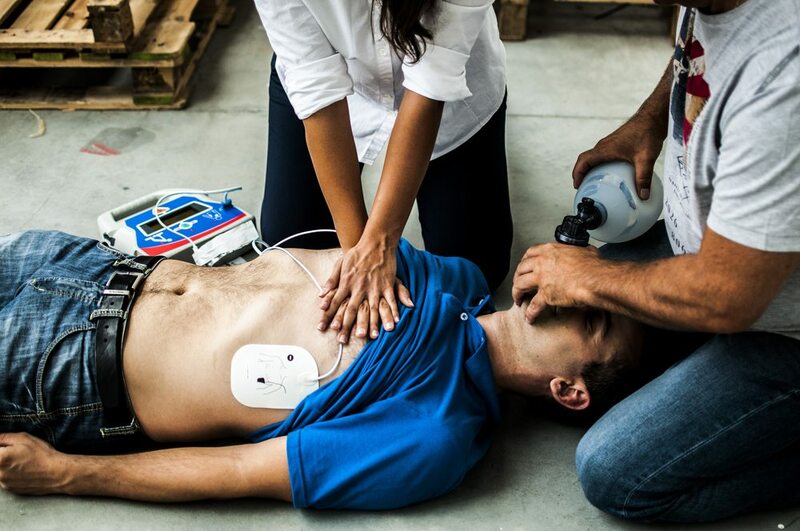 A study from the Indian Journal of Critical Care Medicine showed a remarkable increase in survival to hospital discharge of 23% vs 69% when resuscitation teams were compared pre-BLS / ACLS training to post. Furthermore, this same study also showed an increase in return of spontaneous circulation of 18% to 28% in the pre/post training comparison. The takeaway is knowing that a medical team with ACLS training, especially a team that learns together, develops a shared mental model. In turn, this helps them respond to critical situations in a more unified way—and that quality of teamwork saves lives. If you’re ready to become ACLS certified, contact us at (510) 452-1100, ext 0 or learn more about ACLS certification. We offer flexible ACLS training courses for teams and individuals, in-house or on-site.